The Gnostic Church Commemorates the Beheading of Saint-John the Baptist. ​The head has been associated to the Spirit for thousands of years. Esoterically it was a symbol of the Sun and of the Light, as the saying goes “there is fire in the mind.” As the Feast of Saint-John the Baptist (June 24) is close to the Summer Solstice he is a fitting representation of the fullness of the Prophetic past but also of the Old Law waning in strength. As he diminishes, the New King, the Indwelling Christic Spirit replaces him. The cutting of the head of a solar figure at the time of the harvest (on August 29) is a powerful symbol of this changing of spiritual paradigms. 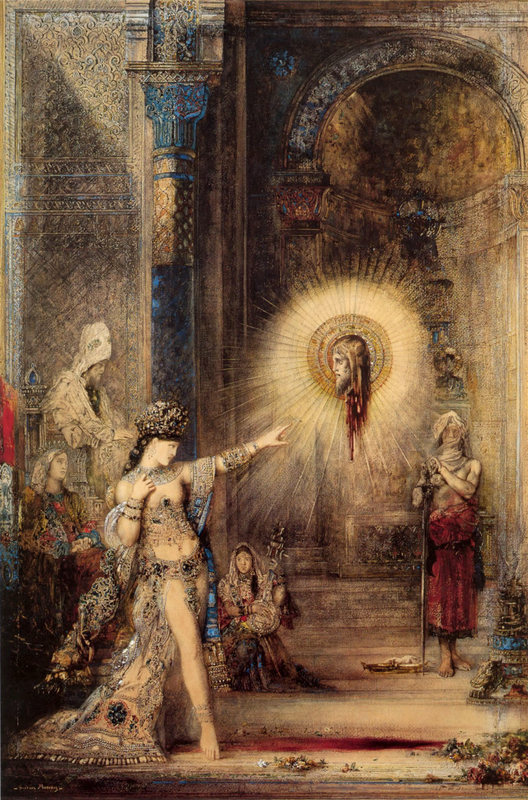 The Apparition, Gustave Moreau, 1876. Let us therefore pray, as one Gnostic Community, that the Eternal Justice of the Lord may be heard by all persons in high places with openness and tolerance, and that its Light may shine forth eternally on us and within us like an unconquerable Sun. Amen.